What Is The Best Luggage For Study Abroad? Traveling or studying abroad can be a wonderful time in your life and it’s a great way to experience other cultures and see other countries. It’s essential that you make sure that you have all of your belongings with you that you need and that you can easily carry them, so you do not have to rely on the kindness of another person to help you. When you are preparing to study abroad, it’s vital that you consider what kind of luggage you want to buy, as the best luggage for study abroad will make traveling incredibly easy. 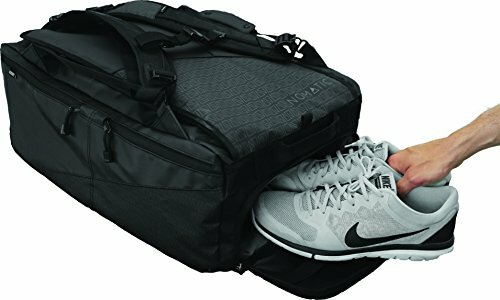 The NOMATIC Travel Bag Duffel/Backpack is the best option for anybody who is going to be studying abroad and wants to make sure that they have everything that they need. Because it has so many compartments inside, it’s easy not only to carry all of your items with you but ensure that they are correctly stored and securely packed so that nothing is damaged or lost. If you are going to be traveling and studying abroad, then it’s important to consider which bag or backpack you are going to bring, as the right one will make traveling on your own a whole lot easier. What Are the Important Considerations When Buying This Luggage? One thing that you need to consider when looking for a piece of luggage for studying abroad is how you are going to carry it. While some people prefer to carry a duffel bag, others prefer to wear their clothing and other items on their back in a pack because they find that it is easier to travel for extended periods of time. For the best of both worlds, buying a piece of luggage that can convert between a duffel bag and a backpack is a smart idea. It’s also important to make sure that you can protect your credit cards and passport from thieves. 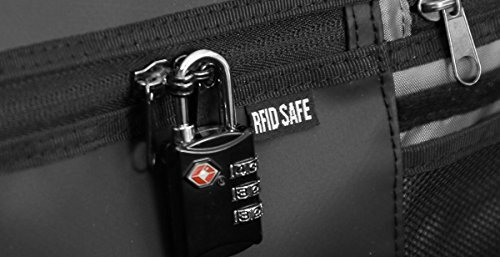 Using a piece of luggage that has a radio frequency identification (RFID) pocket will ensure that your personal information is protected while you are traveling. Because you are likely to be caught in all kinds of weather, it’s also necessary to take into consideration how well your piece of luggage can protect your belongings from the rain. A weatherproof piece of luggage will do a great job at keeping your documents, electronics, and clothes from getting, In addition, it’s important that the external zippers are also waterproof so that water does not leak in through their teeth. Water Repellent Tarpaulin; Dimensions: 21" x 14"x 9"(53cm x 36cm x 23cm): Weight: 4lbs (2KGS) Capacity: 40L;Designed to fit the maximum size allowed on standard airlines, fits in the overhead compartment as well as the under seat as storage in flight. Laptop Pockets fit up to a 15" Macbook Pro and Tablet Pocket fits up to a 8.5" x 11" tablet. 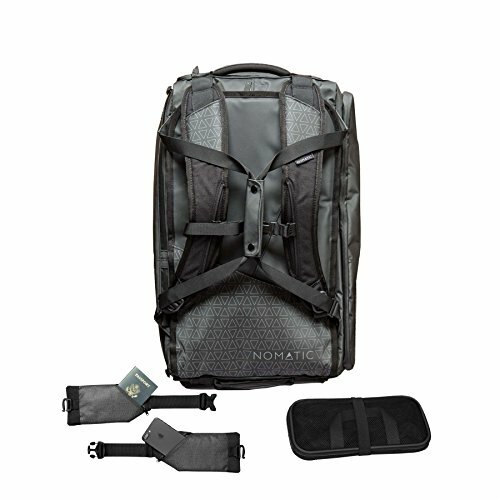 The NOMATIC travel bag is a great option for anybody who is going to be studying abroad, as it’s incredibly light when empty, but has an enormous capacity that allows you to bring with you all of your necessary items. 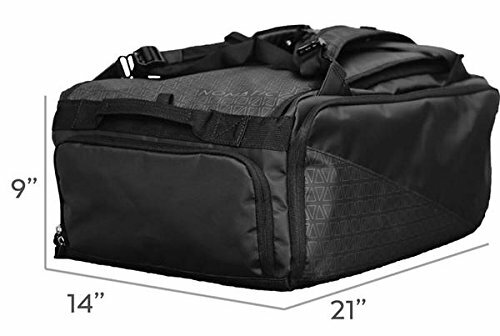 It is the perfect size for carry on and can fit not only in the overhead compartments but also be stowed under a seat during a flight, so you don’t have to wait around in airports to collect a bag from the baggage claim. With designated pockets for your laptop, shoes, water bottle, notebook, and valuables, it’s easy to organize all of your belongings so that you never have to worry about where something is when you need it. 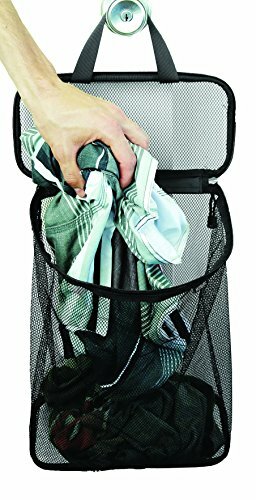 Additionally, this bag is made from a waterproof material that is incredibly durable and rugged. This means that you won’t have to worry about getting caught in a rainstorm while you are traveling, as your bag will be able to protect everything that you have inside. This is sure to give you peace of mind knowing that nothing will happen to your laptop or other personal belongings when you are out and about. Because the external zippers are also waterproof, there’s never any worry about water getting into your luggage. Even when very full, this bag does not feel as heavy on the back due to the way that the straps are constructed and how they attach to the backpack. This means that you will not struggle with back pain while you are traveling or feel like you have to take your pack off at intervals to give your body a rest. 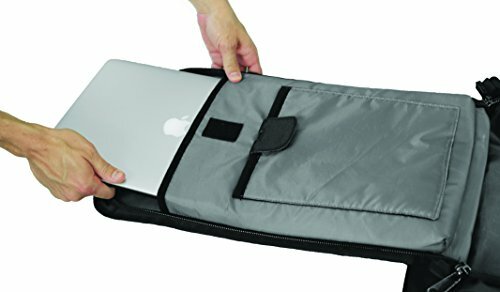 The computer sleeve can comfortably fit your laptop and keep it safe while you are traveling. Additionally, since it will lay flat from the rest of the bag, the computer can stay inside the sleeve when you are going through TSA checkpoints. With all of the pockets, it is effortless to find space for your items so that they do not get lost or misplaced in your bag. It’s easy to lock the zippers on this backpack, so you never have to worry about somebody stealing from you while you are traveling. While there are plenty of pockets on this bag, some of them are embedded, which makes them practically useless if you have used the pocket in which they are placed. While the zippers are high quality, they tend to get stuck around corners of the backpack and require a little bit of extra work to get them loose. 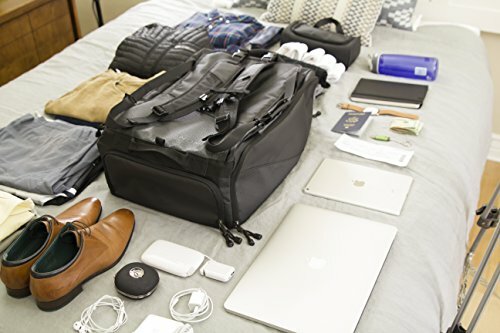 If you are going to be traveling and need to buy the best baggage for study abroad purposes, then it’s time to purchase the NOMATIC Travel Bag Duffel/Backpack. Because it comes with a lifetime warranty, you won’t ever have to worry about whether or not your bag will be able to stand up to your use. The outside is incredibly durable, and it is not only waterproof but can remain in excellent condition even when you use it for years. It doesn’t matter how many flights you take this bag on or if you carry it with you for day trips, as this piece of luggage will continue to look its best even with regular use. 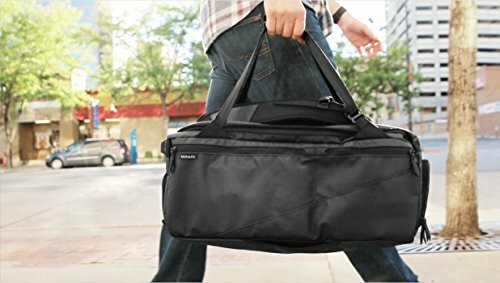 This luggage is perfect for organizing all of your clothing and tech items that you need for a week of travel – although you probably could last longer if you’re willing to do laundry while on the road. The tight straps on this bag help it to keep from becoming deformed and uncomfortable when carrying it and ensure that you can adjust the way it fits on your back so that you do not experience any back pain. 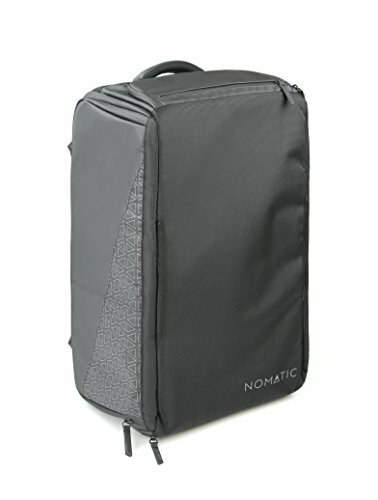 NOMATIC bags have been popular with travelers for years and it’s easy to see why when you buy this bag for study abroad. What Luggage Do Flight Attendants Use?